Bohemian Rhapsody has reignited the public love affair with Queen’s iconic frontman. It also introduced many to the greatest love of his life. 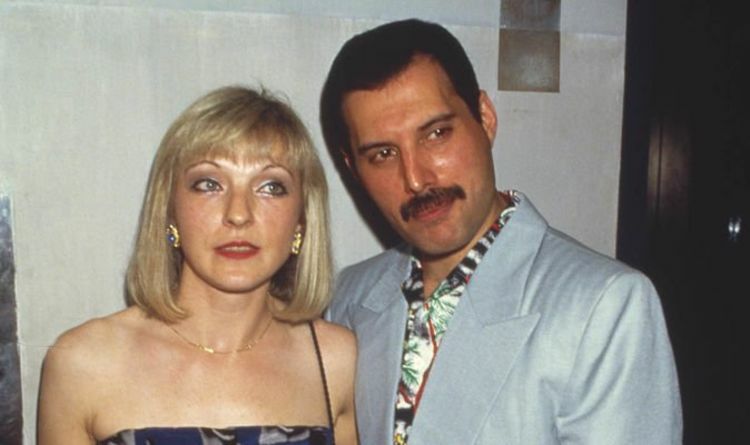 Not only has Mary Austin always kept a low profile, before and after Freddie’s death, many were shocked to find out that he had deeply loved one woman all of his life. The movie showed the moment he proposed but Mary revealed it was actually (and typically) a much more elaborate moment. She also spoke movingly about the day when she realised their wedding would never happen, even before Freddie admitted he was gay. Mary recalled: “When I was 23 he gave me a big box on Christmas Day. Inside was another box, then another and so it went on. It was like one of his playful games. Eventually, I found a lovely jade ring inside the last small box. After that, they went to Freddie’s parents for Christmas lunch, but, eventually, Mary realised their wedding day would never come. She said; “Sometime later, I spotted a wonderful antique wedding dress in a small shop. And as Freddie hadn’t said anything more about marrying, the only way that I could test the water was to say, ‘Is it time I bought the dress?’ But he said no. He had gone off the idea and it never happened. Mary spoke powerfully of their love and her pain when he died: “I lost somebody who I thought was my eternal love. When he died I felt we’d had a marriage. We’d lived our vows. We’d done it for better for worse, for richer for poorer. In sickness and in health.